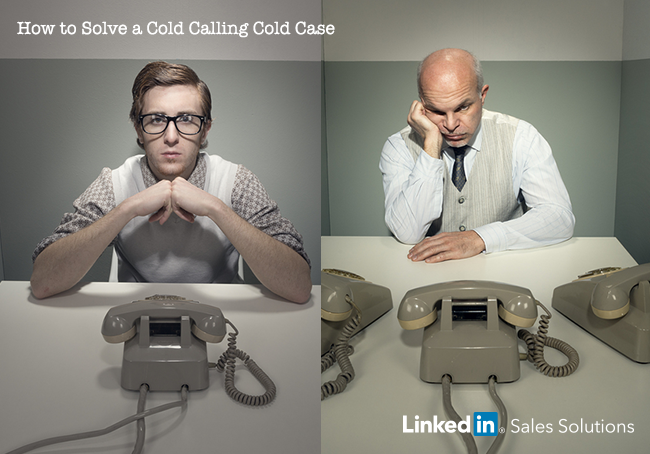 Utilize your social selling sleuthing to solve this cold calling cold case, and work to identify what factors still drive reps to avoid social-based sales techniques. Cold cases are black eyes within a police department. They are the cases that haunt detectives for years, but detectives are known to hold out hope for a break in the case. Sometimes it’s a new piece of evidence that provides new angles to pursue. Other times, it’s the adoption of new technology that allows the case to be investigated in a new manner and uncovers information previously unknown. Selling is no different. Information about what compels customers to buy – previously thought a mystery – is uncovered each day. Couple this with new technology and several new paths to closing a sale are unearthed. 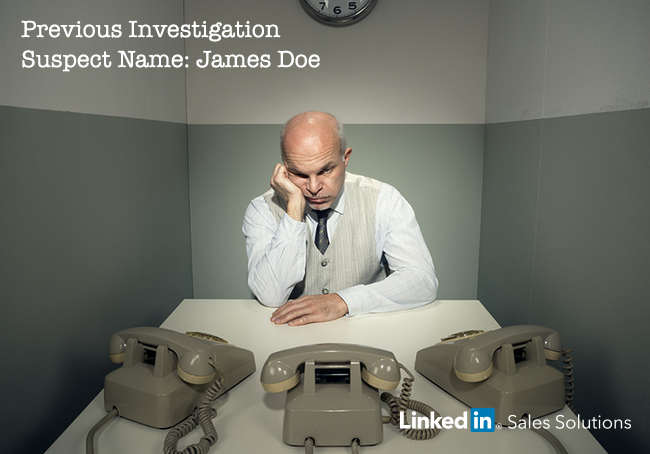 So let's say you are a social selling detective, and you've been tasked to solve a long-standing cold case. The focus of the investigation? Cold calling. How would you solve the case? Tweet us at @LinkedInSelling with your notes! 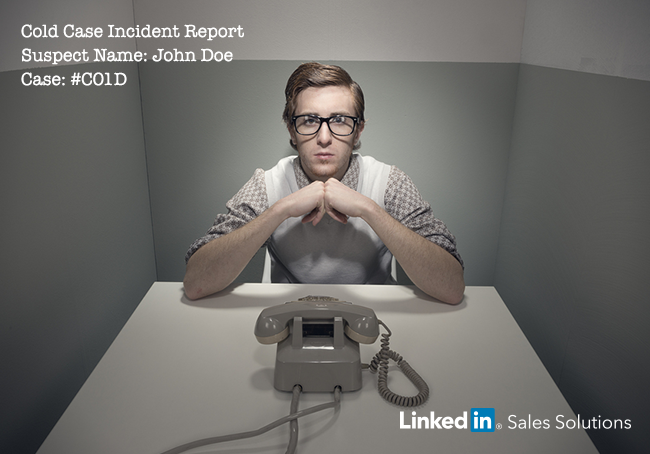 Social selling officer spotted suspects engaging in cold calling behaviors, without dedicating time to initial engagement with prospects. Officer charged suspects with one count of “Using Outdated Selling Tactics”, entered into record on 5/13/2014. Further investigation concluded that suspects possessed little social media presence. LinkedIn pages did not contain photos or relevant data, and profile not optimized per industry standards. Suspects’ reliance on traditional cold calling tactics resulted in missed referral connections, as 84% of B2B buyers begin the process via a referral. Suspects also cost their companies 60% more per lead with cold calling and only generate a meeting success rate of 2% on average. Given the case file above, how would you seek to solve the case? Cold calling has been declared dead, so why do people still use it as their primary prospecting method? Send us your best detective work, and we’ll feature the best case analysis on the blog.